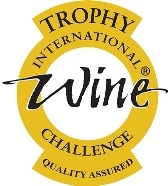 Want to try a Trophy winning sake? Here’s your chance! Hidden Glade, the Daiginjo from Kimura Shuzo, won the Daiginjo Trophy at the International Wine Challenge in 2012. It is a sake of sumptuous, exotic aromas and elegant, velvety textures. Hidden Glade presents bright and full aromas of green apple, melon and cucumber. It is velvety and light-bodied with defined structure resulting in a neat, precise, fruity and elegant sake. Superbly refreshing. When first opened this sake’s aromas are extremely pronounced and fresh, if you find this too much simply decanting the sake will mellow and soften the nose. Find out what suits you best, either way Hidden Glade is a fantastic sake. Food pairing options include mackerel/tuna paté, brined cheese and zesty sauces.